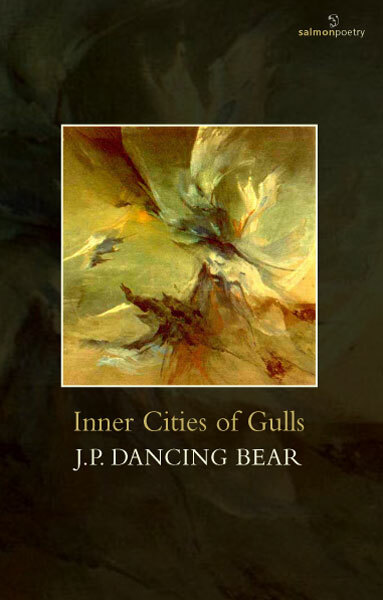 Throughout Inner Cities of Gulls, whether penetrating the natural world or the historical one, whether in love poems or in poems that explore other 'inner weather' of the human heart, J. P. Dancing Bear reveals a certain kind of earned wisdom. Sometimes summoning the voices of mythical persons, sometimes raising his own powerful voice, this poet lends insight to our sometimes faulty assumptions about the way life should be lived. 'I could change light / and substance into any gift,' claims the speaker of 'The Dark Current.' The poems in this compelling collection are themselves such a gift. J. P. Dancing Bear writes new myths for our times through a cornucopia of characters, from Prospero as a TV weatherman to Jesuses of the street. Inner Cities of Gulls contains powerfully moving poems that are restlessly inventive and always life affirming. They celebrate both the natural world and the trance of traffic, displaying his trademark range. J. P. Dancing Bear is the author of Conflicted Light (Salmon Poetry, 2008), Gacela of Narcissus City (Main Street Rag, 2006), Billy Last Crow (Turning Point, 2004) and What Language (Slipstream, 2002), winner of the 2001 Slipstream Prize. His poems have been published in New Orleans Review, National Poetry Review, Knockout, Bateau, diode, DIAGRAM, Verse Daily and many others. His work has been ten times nominated for a Puschcart Prize and once for a Forward Prize. He has been working with Nicaraguan poet Blanca Castellon on translating of her poetry into English, the first will appear in Redactions, Marlboro Review, International Poetry Review, iconoclast and The Bitter Oleander. He has also been working with Mexican poet Oscar Wong to translate his work into English. He is the editor of the American Poetry Journal and Dream Horse Press and the host of "Out of Our Minds" a weekly poetry program on public radio station KKUP. now-suggesting something great but final. in the stores. The city's veins are trancing with traffic. J. P. Dancing Bear is renowned for the verve and freshness of his images and stories, and Inner Cities of Gulls adds to that reputation. This book stars a fascinating ensemble cast: Shakespeare's Prospero and Caliban; Sisyphus and Perseus; Hamlet and Ophelia, the homeless, "sick, suffering, sleeping Jesuses of the street"; and many more-enmeshed in surprising landscapes of brittle beauty. Orpheus descends into hell's "shifting coastline of ebony fires," surrounded by "the noise of shattering glass, twisting metal," conflating ancient and modern imagery. Some of the more compelling poems here are connected to Native American history and symbology. "A Brief Informal History" tells us that instead of a Houdini, "There was Jim Thorpe, who ran in circles // better than anyone else. He ran like a caged wolf." This caging can be glimpsed throughout pop culture: "the names of our fathers embossed in chrome / on the fenders of cars, on the labels of alcohol, / in the lonely glow of neon above cafes:' Even those who would be escape artists, "Those boys who went to war / and fought like there might be a freedom hidden / somewhere in blood," find on their return that they "went back to being unneeded as a stone ... petroglyph for all that is lost." This book is a kind of petroglyph, a lasting image, that re-creates new mythologies to show not only what is lost but what can be and must be regained.